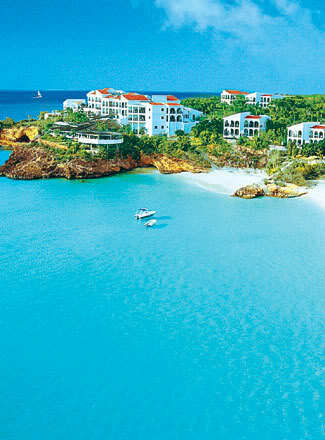 Malliouhana Spa - Anguilla is a 15,000 sq. foot ocean front spa and salon with indoor and outdoor treatment areas. There is also a fitness center, a boutique, a sauna, and steam rooms. Outdoor jacuzzi and lounge area provides a fantastic ocean view! 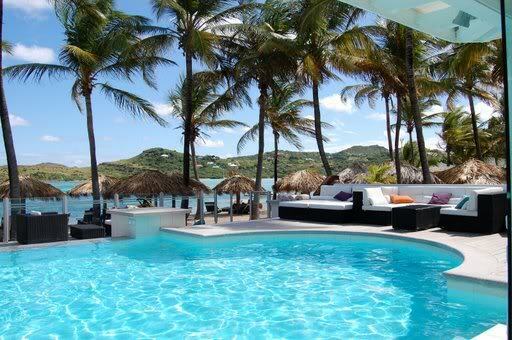 The Curtain Bluff Spa - Antigua is a 5,000 sq. foot two-story spa located just feet from the sea. Awaken your senses with the sights, scents and sounds of the water. There are five treatment rooms, each with a private balcony, and one for couples with its own jacuzzi. The outdoor lounge, herb garden, and infinity-edge pool are the perfect way to take in the unobstructed views of the sea. Cotton House Spa - Mustique is on an island estate near St. Vincent and provides an array of treatments for men, women, teens and children. The spa is located on the beach with spectacular views of the sea. Guanahani Spa - St. Barths is a first-class spa located on a sixteen acre peninsula between two beaches. 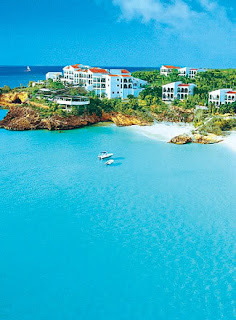 The spa features facials, massages, body treatments and a hair salon among an island paradise! Emerald Mist Spa - St. Kitts is located at the Marriot Resort in a fantastic tropical setting. The resort also features a golf course and casino. The spa provides detoxifying body treatments, massage therapies, skin care services and wellness programs. 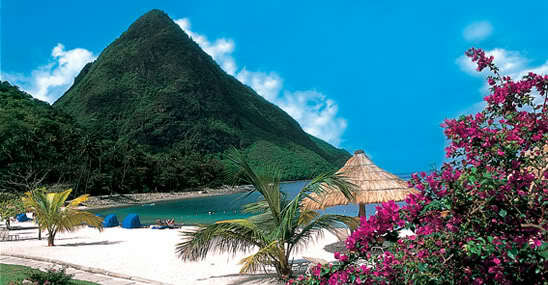 The Body Holiday - St. Lucia This holiday is for anyone interested in looking for relaxation, adventure, or self-discovery. There's something here for everybody. Included in your holiday is three meals per day and unlimited beverages (including alcohol). An abundance of fitness programs are available including yoga, pilates, and meditation among many others. A 50-minute spa treatment as well as free golf lessons and water sports are also available for your enjoyment. You can do as much or as little on your customized holiday. It's your choice! Rainforest Spa - St. Lucia at Jalousie Plantation is set among a lush landscape and uses natural ingredients such as banana, coconut, aloe vera and cocoa butter to nourish the body. The spa features seven air-conditioned treatment rooms and two private outdoor cabanas with spectacular views. Spa Kalina - St. Vincent is located at Young Island on a hillside surrounded by tropical foilage. The spa features products from Earth Mother Botanicals of Barbados, which are made from natural ingredients. Indulge with body scrubs, hydrating creams and lotions and foot scrubs. Le Grand Courlan Resort & Spa - Tobago is located at an adults only resort, and overlooks the Caribbean Sea. Massages, facials, exfoliation, microdermabrasion, gentleman's services and body wraps are a few of the many services provided.